More about Halva European Style Black Licorice Finland is known for licorice, and Halva is known as one of Finland's best licorice makers. 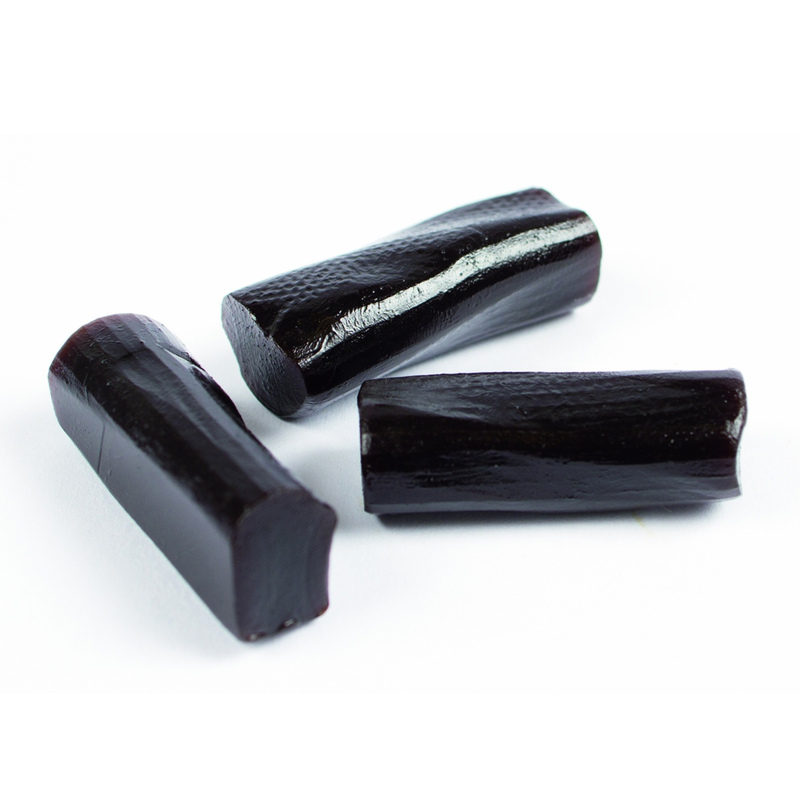 Established in 1931, Halva creates this sweet, soft, fat-free black licorice using only the finest ingredients available: referred to in Finland as "Black Gold." This makes a great stocking stuffer for a fan of Finnish licorice, and an authentic treat for yourself, too. Ingredients: Sugar Beet Syrup, Wheat Flour, Sugar, Licorice Extract, Guar Gum, Natural Flavor (Anethol), Coconut Oil, Beeswax. The Halva black licorice has become my new favorite. The flavor is smooth but still intense enough to let you know it is a real licorice. 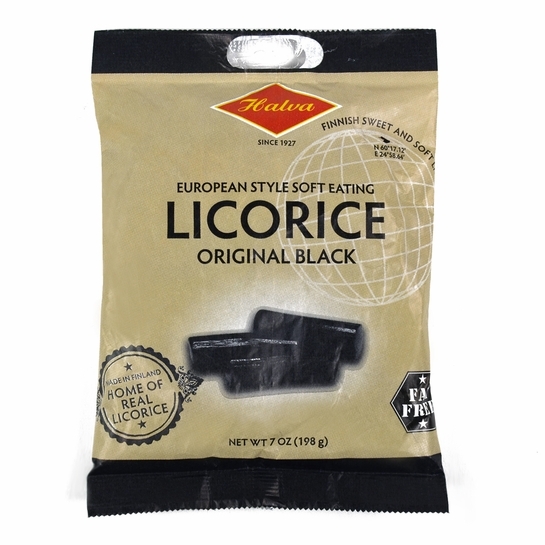 The Finns know licorice! The body is firm, but very chewable. Definitely a great choice if you like real black licorice.